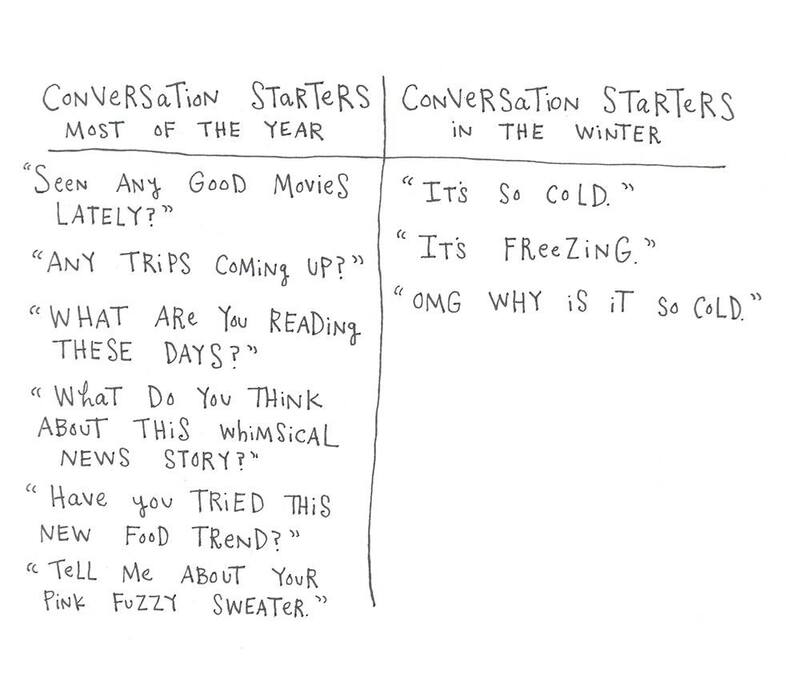 Are You Good at Small Talk? In my home country, we don't casually chat with business owners, unless we're regular customers. It took me months to get to know my favorite barista and stop looking like a holier-than-thou French woman/being awkward and needing a minute to answer the innocent "What are you up to today?". I never know how to answer the dreaded "What do you do for a living". And I tend to get annoyed when people ask me where my accent is from or how long I've been living in the city. But over the past years, having moved from country to country and city to city, and having read many articles on the subject, I've learned a couple tricks to be more comfortable in small talk situations. Don't like being asked a question? Craft the perfect answer or learn how to change the subject. I'm still working on my elevator pitch and haven't found the best way to dodge the "Where are you from" question but I'm getting there. Some experiments have failed miserably, but I'm constantly learning. There's an endless source of networking events around me so there's a chance I won't see the people I feel like I've made a bad impression on ever again. Or if I do, this will give me another chance to do better, try something else, or give up and switch to automatic mode and regurgitate my whole life's story. The truth is, it's not their fault, it's mine. I just shouldn't attend that many events, and meet that many new people. But I can't help it. I go through "social butterfly" phases, and then stop completely and stay at home for weeks. Do you do that too? What was I saying again? Oh yeah, practice. Or print a business card - it will force you to choose a title. Do any of you have multiple jobs too? Also, when do you start calling yourself something? When that activity takes a big chunk of your time? When you start making money from it? Ah, so many questions! Why not write down a list of subjects before coming to an event? This might sound totally unnatural to some people, but it can be a life-saver to others. From asking your interlocutor what's the latest podcast they've subscribed to to asking them what has been keeping them busy lately - the only diplomatic way to ask someone what they do for a living, as it does not alienate people who do not have a conventional job (i.e. job seekers, full-time parents, etc) - there are many candid ways to start meaningful conversations. 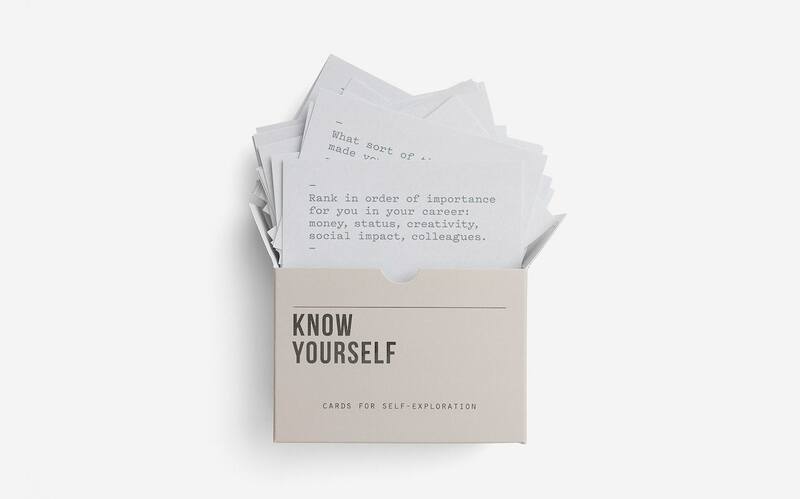 I've also had deep conversations with girlfriends using a deck of cards I received with a subscription box and also with the Know Yourself Prompt Cards by The School of Life. I'm actually thinking about bringing them to the next event I'll attend. It's gonna be weird, but might be very fun! Wanna join me? I don't mind going to events unaccompanied. I've done that most of my adult life. I look pretty comfortable sitting by myself at a restaurant and feel at ease alone at the movies. Same thing goes for social events. But it requires a lot of energy from me, which is why I only do that over a short period of time - I once listented to a podcast episode where the guest, Satsuki Shibuya, explains how she uses a point system to work with her energy and avoid burnout. Want a great ice-breaker tip? Come to someone who looks as uncomfortable as you (or just someone who's alone) and share your discomfort. 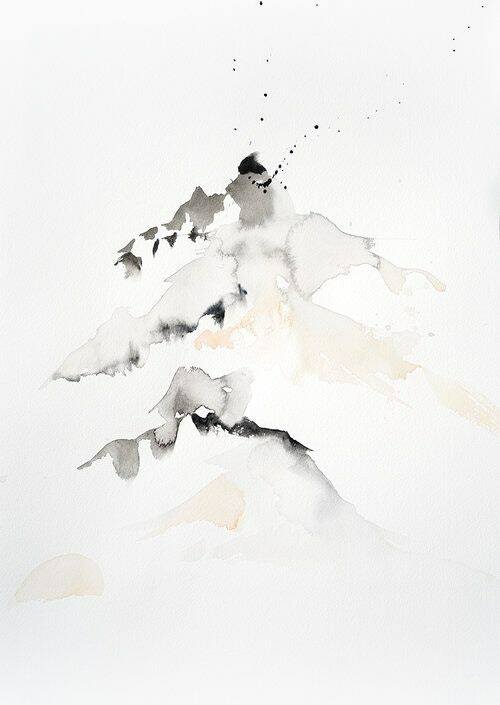 Being vulnerable and asking for help is the best gift you could give a stranger (in a safe space, obsviously) and a wonderful way to make a meaningful connection. And finally, how perfect is this illustration? What's your favorite question to ask a stranger at a party?